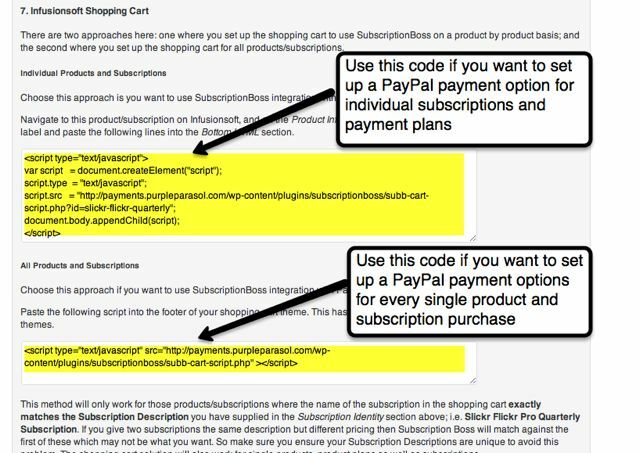 In the Infusionsoft shopping cart for single purchases of a subscription or a product with a single or multi stage payment plan, you can now add a PayPal payment option to the shopping cart using SubscriptionBoss 1.14. On your WordPress site where you have SubscriptionBoss installed then select the subscription and scroll down to the Extra Order Information section and makes any changes if you want to capture contact and address information from the cart on Infusionsoft. IMPORTANT: if you have an SSL certificate installed on your WordPress site then replace the http by https in the copied code – this stops the browser from issuing a warning message when the form is sent to the plugin. Log in to Infusionsoft, edit the Product, click on the Edit Button next to the cart options and paste the code into the Bottom HTML section having clicked on the Source tab. 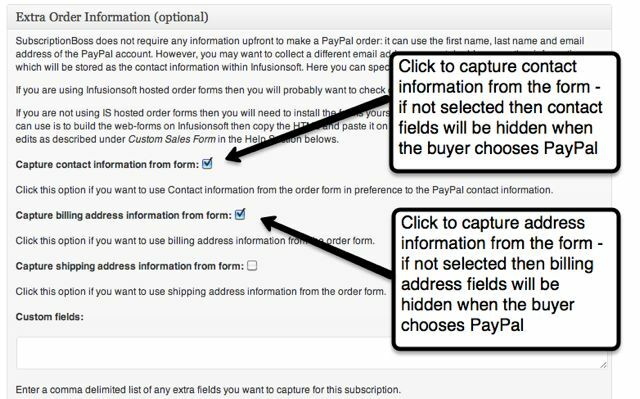 Unnecessary fields such as Credit Card information are hidden when PayPal is selected. 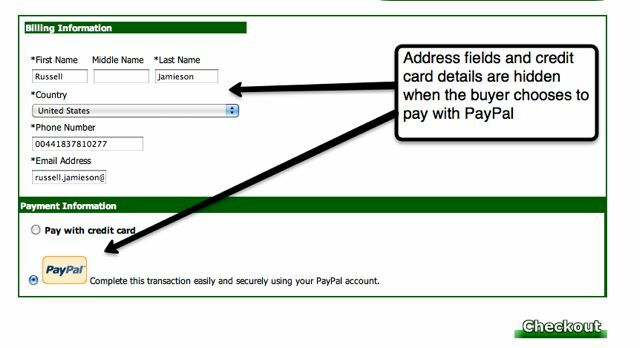 How To Add A PayPal Payment Option on Infusionsoft Hosted Order Forms. 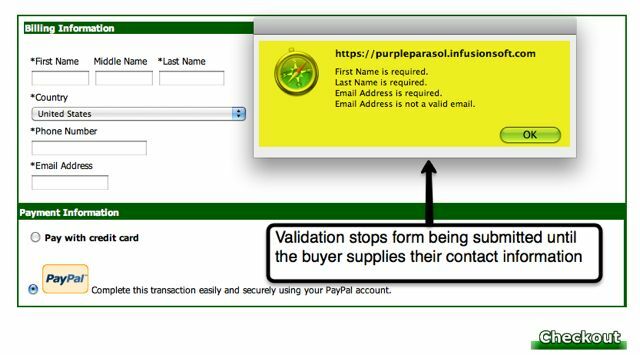 Also check out the video tutorials on YouTube for setting up extra form field validation so user information is collected on the form rather than relying on the information from the buyer’s PayPal account.